Terry L. Swisher, 65, of Pana passed away Monday, January 28, 2019 in Pana Community Hospital. He was born September 2, 1953 in Shelbyville, IL son of John Christian Swisher & Mary Kay (Wade) Swisher. Terry lived most of his life in Tower Hill & Pana areas and was a graduate of Tower Hill High School. He was a 37-year member of the Pana Elks Lodge and a 15-year member of the Pana Masonic Lodge, where he was a 32nd degree mason. 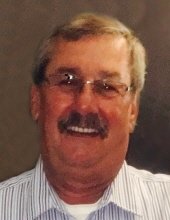 Terry had worked for Caterpillar and retired from Quebecor, Inc. in Effingham. He attended every sporting event for his grandchildren and loved coaching youth baseball. Terry enjoyed his morning coffee and tinkering around the garage. He never knew a stranger. Terry is survived by his son, Bryan (Jennifer) Swisher, Pana, IL; 2 grandchildren: Kacey & Evan Swisher; and siblings: Darrell Swisher, Pana, IL; Jim Swisher, Shelbyville, IL; Debbie Bailey, Kentucky; Bob (Reta) Swisher, Shelbyville, IL; Brenda Hill, Nokomis, IL; Roger (Kelli) Gregg, Nokomis, IL. He was preceded in death by his father, John Swisher; mother, Mary Kay Gregg; sister, Barbara Jo Swisher & brother, John Swisher. Services for Terry will be held on Saturday, February 2, 2019 in McCracken-Dean Funeral Home at 10:00 a.m., beginning with Elks rites and followed by a funeral service with Pastor Jake Phillips officiating. Inurnment will be in Beecher City Cemetery at a later date. Visitation will be Friday from 5 to 8 p.m. in the funeral home. Memorials in Terry’s honor and in lieu of flowers may be made to St. Patrick’s School Athletic Association, Pana Midfielders Club or Pana Quarterback Club. "Email Address" would like to share the life celebration of Terry L. Swisher. Click on the "link" to go to share a favorite memory or leave a condolence message for the family.